The Webometric Unit of the University of Agriculture, Abeokuta, had commenced the process of internationalizing research efforts in the institution. 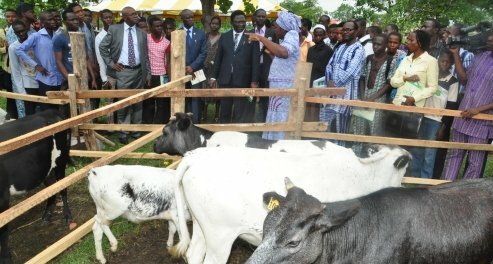 The Unit Coordinator, Dr. Olusegun Folorunso, who gave the hint through a release made available to UNAAB Bulletin, also revealed that the Unit would soon come up with an initiative for the development of Knowledge Centre for Agriculture and other allied programmes in the University. According to him the internationalization of the University researches “will help ensure an internal improvement in standard and ultimately a subsequent increase in quality”. Highlighting the impact of the Unit, the Coordinator stated that it has been able to establish a web-based repository of courseware for UNAAB students at various levels which enable them to easily follow their lecturers, read ahead of classes, even during holidays. Dr. Folorunso urged the UNAAB community to appreciate the functions of the Webometrics Unit and use its various platforms to update their profiles, as well as visiting the UNAAB’s social and academic networks on the web. While predicting a better status for UNAAB in the next University ranking, the Coordinator stated that strategies had been reviewed and that the Unit will not relent, given the unflinching support of the Vice-Chancellor.